Vehicles are heavy, bulky and require adequate protection since the smallest impacts can dent them or scratch their paint. With this being the case, creating packaging solutions for vehicles can present a number of unique challenges. 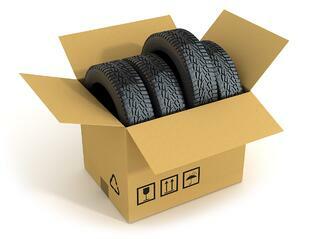 Here we will examine optimum vehicle packaging solutions to keep your automotive parts protected. Vehicle packaging creates a number of challenges that you may need professional guidance to overcome. Thankfully, packaging engineers are experienced in creating effective and affordable packaging solutions for challenging items such as vehicles. plied and isn't too costly. These factors are always at the forefront of a packaging engineer's mind as they work to develop a packaging solution that will work best for you. In the end, working with a packaging engineer allows you to leverage their years of experience and know-how in order to develop a solution that will likely be much more effective than the solution you would develop if you were forced to work alone. At Victory Packaging, we are experienced in developing optimum packaging solutions for those in the automotive industry. Our packaging engineers are experts at vehicle packaging and will work with you to create the perfect solution for your company. If you would like to learn more about our expert automotive packaging engineers about developing a customized solution, we invite you to contact us today. *Victory Packaging is not affiliated with Architects of Packaging, Inc. (www.architectsofpackaging.com), 11 Mainline Drive, Westfield, MA 01085. © Victory Packaging 2016. All Rights Reserved.